HONDIUS, J. / PURCHAS, S. - Congi regnu. Congi regnu. - HONDIUS, J. / PURCHAS, S.
Description :Samuel Purchas' edition of the Mercator/Hondius Atlas Minor . 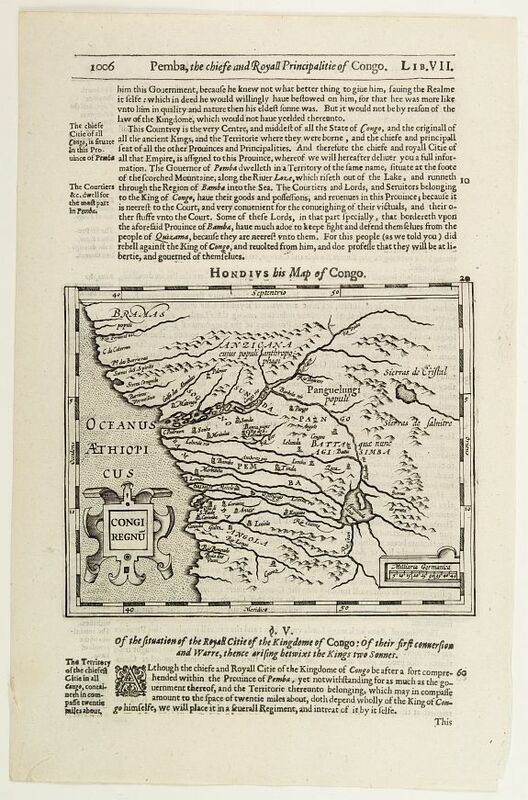 Early map of Congo published in his famous collection of voyages His Pilgrimes . With descriptive text in English on both sides. Size of paper: 32x21cm. Condition : A little weak impression. Printed text on verso visible on recto.